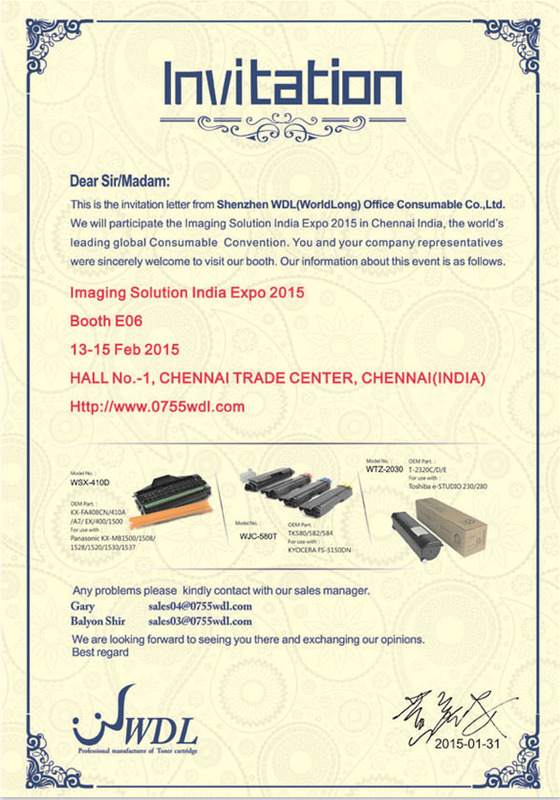 This is the invitation letter from Shenzhen WDL(WorldLong) Office Consumable Co.,Ltd. We will participate the Imaging Solution India Expo 2015 in Chennai India, the world’s leading global Consumable Convention. You and your company representatives were sincerely welcome to visit our booth. Our information about this event is as follows.